It’s easy to see why these fish are so popular. Why wouldn’t you love giant, saltwater bass? It wasn’t a tarpon. It wasn’t a Ladyfish, either. It was something lighter in color with a big mouth. Snook are awesome. For years, they’ve been near the top of my target list, but they always seemed so unrealistic. Every video I’d seen involved a guy on an expensive boat very obviously out of my price range. 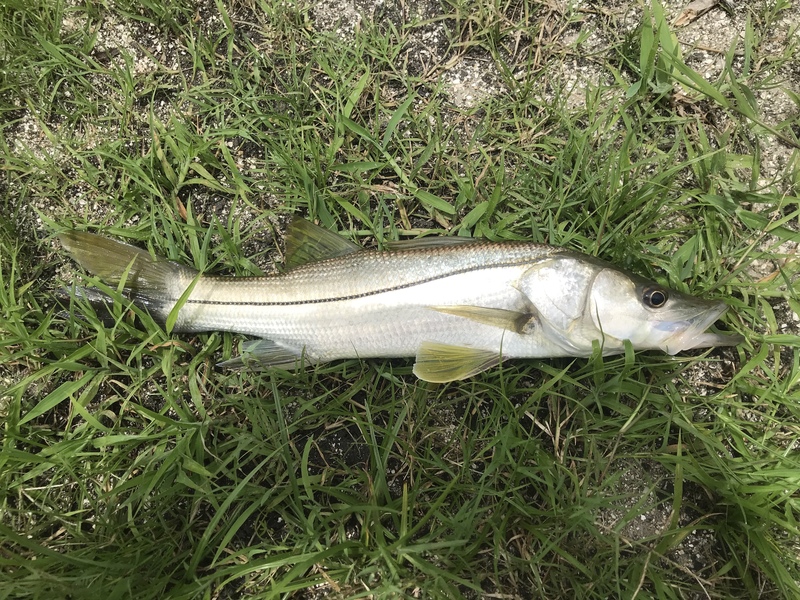 I figured I’d get one eventually, but when I cast my Rapala between two mangrove gnarls on the way back to the car, haggard from a morning of failed tarpon hookups, I was pleasantly surprised by a spunky little snook. It jumped my Rapala at the bank, crushing it against the shore and providing a nice little change of pace for the repeated disappointment I’d been boiling in all morning. Mine was only 20-some inches long, and give where I hooked it, the photo-ops were limited, but I managed to snap a quick #SpeciesQuest photo and let it go to let it grow. Read the next entry in #SpeciesQuest here: Species #146 — Atlantic Tarpon.